Besides keeping your car looking great, regular car washes have many benefits. Firehouse XPress Car Wash is the best drive through car wash in Fort Collins. We offer monthly car wash packages for your convenience. 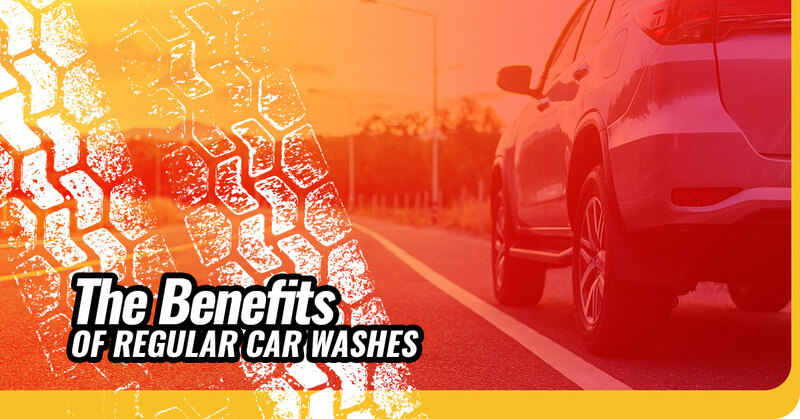 Below, we’ll list some of the benefits of regular car washes. Visit us today! Your car looks good. Let’s start with the obvious first: your car will shine. Car washes remove all the dirt, grime, and road gunk from your vehicle. You won’t have to worry about getting dirt on your hands when you open your trunk or getting black grime on your new outfit because you accidentally brush against your car while climbing in. Your car stays free from damage. Dirt and road grime get on your car and can cause major damage in the long run. Dirt can corrode the paint on your car, especially if it mixes with pollutants from the air or road. Once the paint chips, your car can begin to rust, which left to itself, can begin to eat away the frame of your car. You might not care so much, but when you go to trade your car in or sell it, it’ll be worth less, so dirt can cost you money. Your car is safe to drive. When too much dirt and dust gets on your car and your back window, you may not be able to see very well. This is a driving hazard and could lead to a car accident when a quick car wash service at Firehouse XPress Car Wash will prevent this problem. Your car is more fuel efficient. Due to the science of aerodynamics, any thing on the surface of your car creates drag. Think of when ice builds up on your car. It takes more power to go the same speed. This is the same effect as dirt. Dirt creates drag, which takes more fuel to overcome it. Your car will be more germ-free. People commonly think of their car as an extension of their home. However, their car is usually dirtier just because it’s a bit more inconvenient to clean than your home. Investing in regular drive through car washes will prompt you to keep the interior of your car clean as well. Firehouse XPress Car Wash proudly serves the Northern Colorado community. We offer unlimited car washes, which include undercarriage wash, and we also offer free car vacuuming so you can keep both the interior and the exterior of your car looking new. We offer a wide variety of car wash package options, from our all-encompassing car wash service, which includes our polyshine premier polymer foam wax and a thorough application of Weather Guard All-Season Protectant to our most basic car wash that focuses on surface clean. We recycle 80 percent of the water we use, and we give back a portion of our profits every month to local charities. Founded by two local firefighters, Firehouse XPress Wash offers the best drive through car wash in Fort Collins with two locations for your convenience. Visit us today for your regular car wash service!